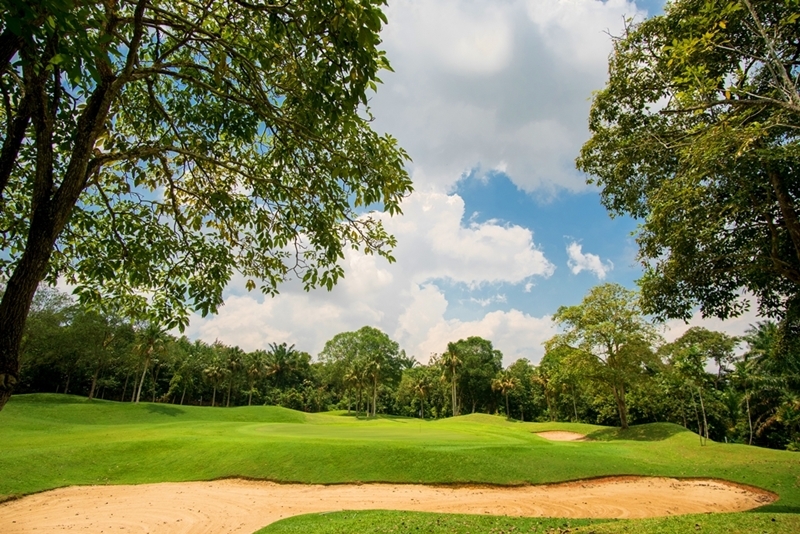 To reserve your tee times from 9.00 am to 5.00 pm daily, please call (+607) 5992000. Please note that your calls will be answered in a queue system that allows up to 10 callers to call in at any one time. Therefore, your patience is appreciated. We assure you that your call will be attended to as soon as possible. Principal members have the privilege of booking their tee times 9 days in advance, on condition that they provide the names of all 4 golfers (not more than one guest) playing in the same flight. Please note that for bookings that have been made but where 3 members named in the booking had failed to turn up to play on the flight, a penalty of RM250.00 will be charged to the Member's account. Cancellation of golf booking must be done 72 hours before tee time. Cancellation charge of RM100 will be imposed for cancellations done less than 72 hours. Cancellation charge of RM200 will be imposed for cancellations done less than 24 hours. Members must ensure that they receive a faxed confirmation for any bookings or cancellations made by them. The Club will not be held responsible for any miscommunication relating to non-booking or cancellation. Rain checks will be issued for green fees only when the golf courses are closed due to weather restrictions. If play has commenced, a rain check for 9-holes will be issued. If play has started on the second-nine, no rain check will be issued. Valid for weekend only. If the Member books a slot and does not show up, the Member will be fined RM250.00 per flight. Please contact our Golf Booking Department at 07-599 2000 (10 hunting lines) or e-mail golfbooking@palmresort.com for verification or enquiries.